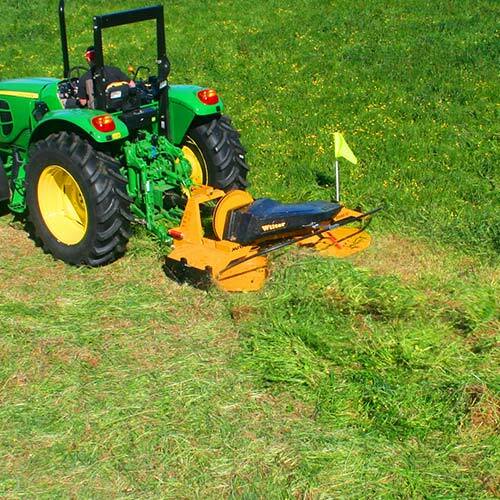 The 2500IV is an incredibly versatile mower that will handle all the mowing and topping duties on the farm. They are very robust and easy to use, ideal for unskilled staff. Even when the mowing gets heavy, they do not block or make a mess. 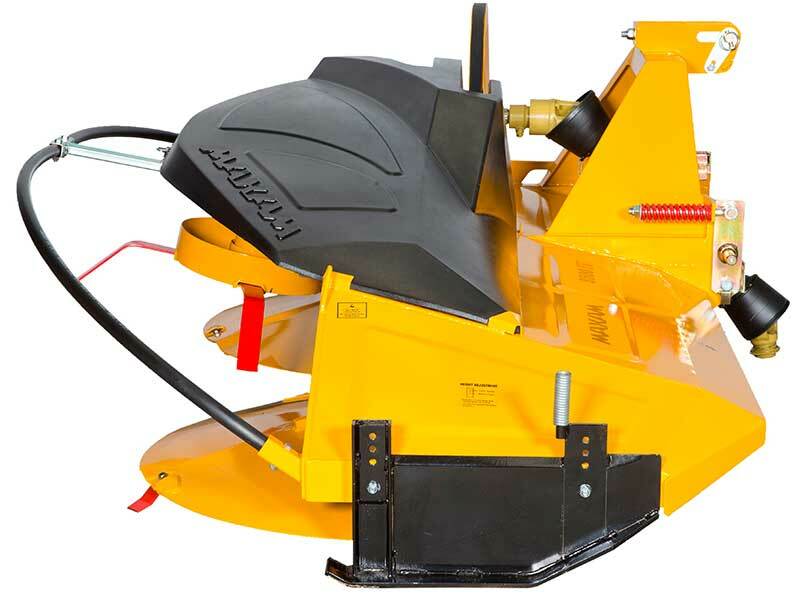 The Wilter spreader makes this machine unbeatable! The topper mower that covers the field! 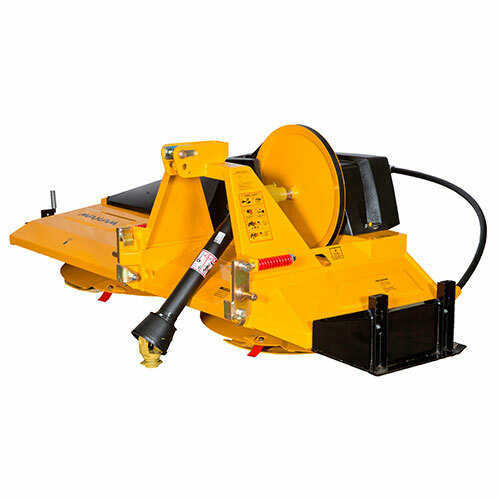 The price for the 2500IV shown above includes the Wilter spreader. The Maxam 2500IV is a tough mower capable of mowing everything from hay crops to bull rushes and all topping jobs. 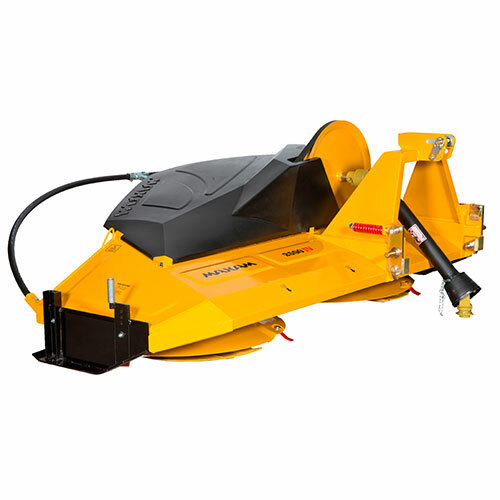 Also ideal for Kaikuyu control rather than using a mulcher or a topper with mulching blades. This is because it can mow low without scalping. The long skids underneath the cutting drums keep the blades at an accurate distance from the ground whereas toppers inevitably scalp the ground when trying to cut low enough to be effective on Kaikuyu grass. This makes Maxam mowers the ultimate topping mowers. 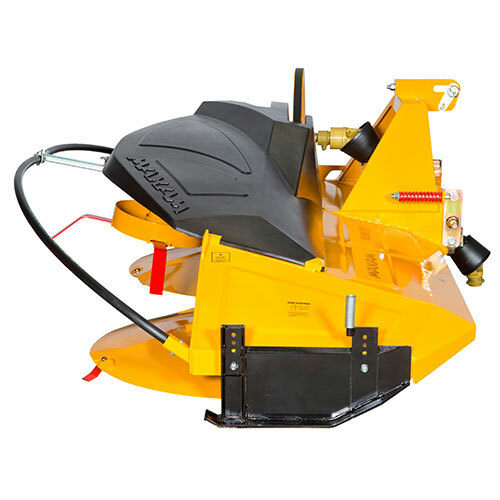 The 2500IV mower and Wilter spreader combination is unique worldwide. The clean cut grass is fed from the cutting drums into the Wilter tynes, which toss the grass so any clumps are broken up and the heaviest grass lands on top for the most exposure to the elements for quick and even wilting. The wilting time of crops conditioned and spread by the Wilter is faster than any other system including mower conditioners. Dairy farmers often top after the cows have grazed the strip, and the full spread of toppings decompose quickly, allowing the grass to regrow. 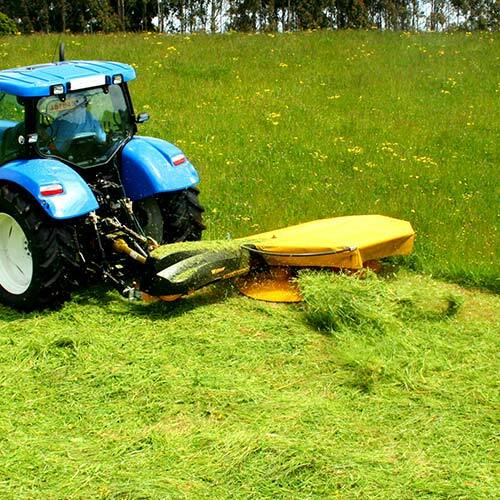 Another common practice is mowing the grass before the strip is fed to the cows, and farmers have found that leaving the mown grass in rows minimises trampling and spoilage from dung. 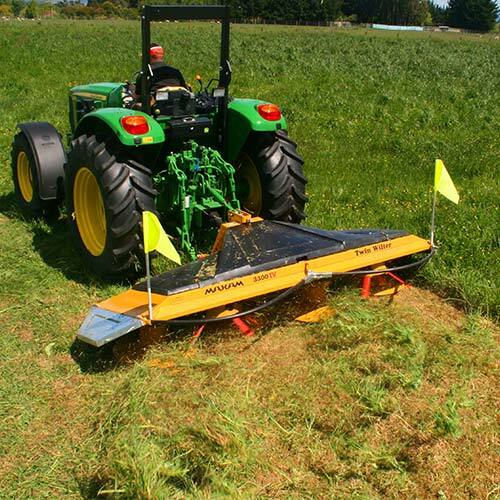 Simply remove the Wilter tynes to leave tidy windrows, much like a feed pad. 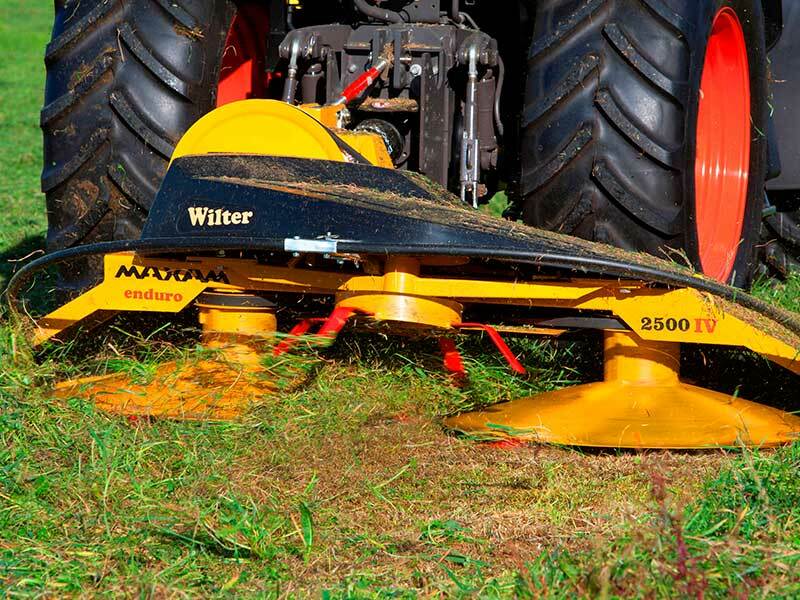 When you use the Wilter, the crop is cut, conditioned, and spread in one pass. A brilliant combination. With the Wilter spreader tynes removed the 2500IV mows the crop into neat windrows. The 2500IV has a spring loaded breakaway on both the left and right hand linkages. 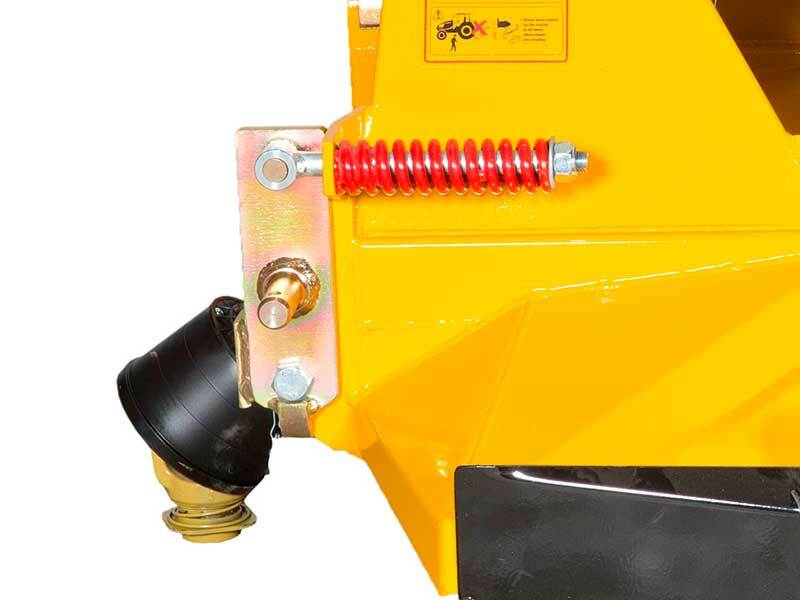 This system replaces the shear bolt system commonly used in farm machinery where accidents or large impacts are reasonably frequent. 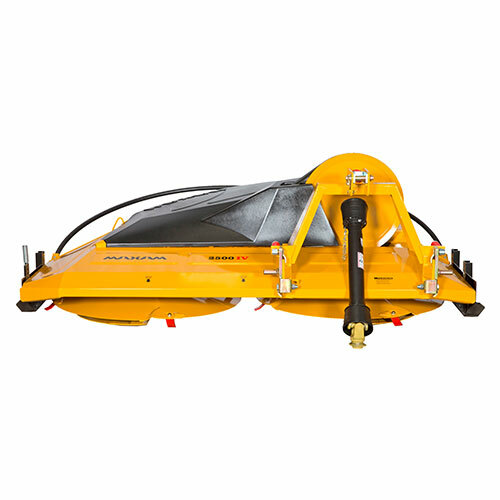 This system absorbs the shock created by accidents and protects the mower from serious damage. 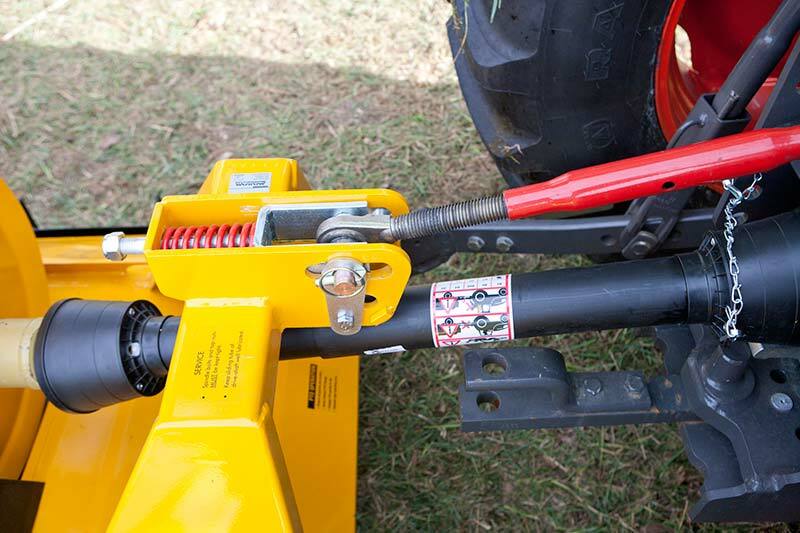 As the photo shows, the mowers accept CAT III quick hitch tractor linkages. The 2500IV is well covered and guarded for safety. The belt drive is extremely robust and like the rest of the mower, needs minimal maintenance. Sealed bearings are used so there is no need of continual greasing or any risk of oil leaks. The outside black skids are adjustable for different topping heights. The 2500IV is extremely compact which adds to the versatility of the mower and also makes it safe to use on steeper country than a normal mower as the weight is close to the tractor. The 2500IV is so easy to use as you do not have to fold it into the transport position which makes them ideal for unskilled labour. These photos show the spring loaded top link system that the 2500 uses to assist with ground contour following. 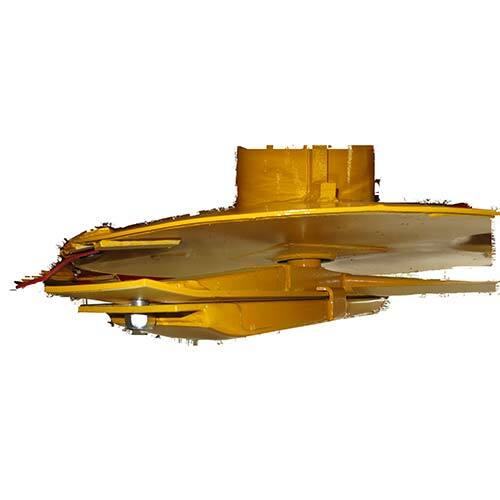 This system also minimises wear on the under rotor skids. To set it up – the top link is lengthened, compressing the spring. 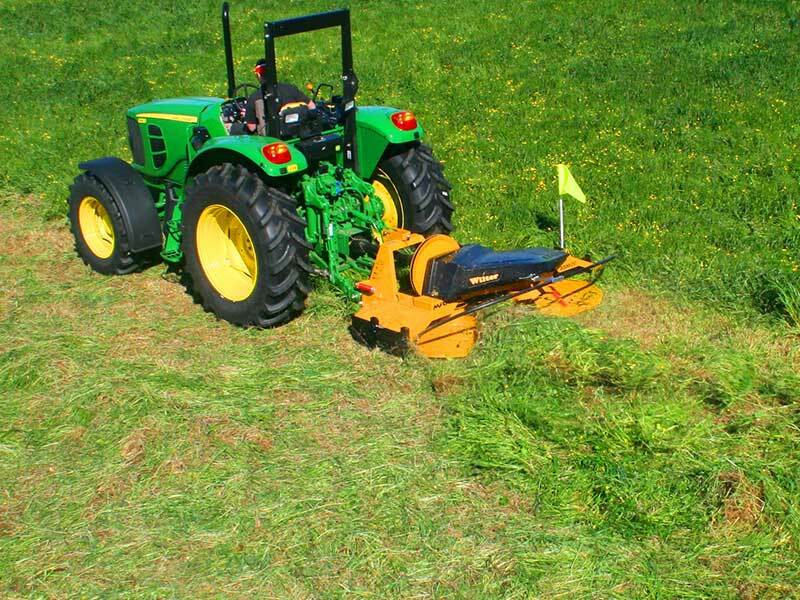 This lifts some weight off the front of the mower and ensures it follows the ground closely. The secondary photo shows the floating washer that ensures the lynch pin does not come unclipped.